Sin City, The Entertainment Capital of the World, Glitter Gulch, Lost Wages - no matter what you call it, we all know it as Las Vegas. This desert city erected in southern Nevada is an American staple; a tourist attraction that few have never heard of. Even around the world, Las Vegas receives praise for its abilities to cater to all races, ethnicities, and personalities. 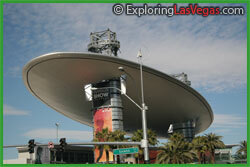 How can one city be so eclectic, especially one as small in scale as Las Vegas? It's all in what you offer. Casinos and gambling may be Sin City's more well known facets, but they're far from all the city can provide. Las Vegas has an extensive nightlife, dining comparable to no other location, world class entertainment, and activities that only a desert could present. Due to the large nature of Vegas' offerings, it's common that tourists (and even locals) find themselves overwhelmed on a daily basis. With a good guide in hand, though, you can avoid the complications of traveling to such a generous city. Why start with shopping? Because before you hit the places that will take your money without pause, you should at least know where you can go to drop a few dollars and leave with some physical merchandise. Amidst all the money you will spend on the partying and entertainment you are bound to partake in, sometimes it's nice to shop around for items that you can actually hold and display somewhere. Being a city built on entertainment, you're wondering where there could even be suitable retailers to shop. As you make your way throughout the city, resorts will house select stores within - mostly unique boutiques and jewelers - but to get more options, there are four expansive malls. Miracle Mile Shops (Planet Hollywood), the Forum Shops (Caesars Palace), Canal Shoppes (Venetian), and the Fashion Show Mall (across from The Wynn) provide hours of shopping possibilities, from lesser known retailers to stores like Sony, Swarovski, Bebe, and The Art of Shaving. 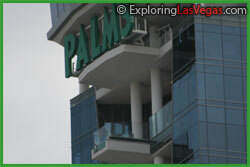 One look at a map of Sin City will show that the selection of accommodations is definitely not sparse. From the Stratosphere to Mandalay Bay, even veering off Las Vegas Blvd to the Rio and Palms, you are going to be faced with a slew of differing hotels - and while they're all high-end properties, they're all unique in design and offerings. At resorts like the MGM Grand, Cosmopolitan, The Paris, The Venetian, Mandalay Bay, and Caesar's Palace, you'll find a wider arrangement of suites and penthouses. That's not to say other spots - like The Mirage, Treasure Island, The Bellagio, and The Palms - are short on specialty rooms, though. Every hotel in Sin City has a room for all purposes. If the season is right, you will want to consider pools. Mandalay Bay's sanded “beach” pool is unique to Vegas' desert setting, but also attracts kids galore. To avoid a younger cliental, consider spots like the European Bare at The Mirage, Wet Republic at the MGM Grand, Marquee Dayclub at the Cosmopolitan, and TAO Beach. With every hotel also comes a large casino floor, perfected with thousands of slot and video games, dozens of table games, and scattered bars and lounges useful for taking a load off without sinking money into a machine. It's easy to get lost at a machine and not even realize that time has passed, so be sure to make use of the cocktail waitresses as they pass by. Some of the hottest gaming on the Strip can be found at the MGM Grand and Caesar's Palace, who house massive gaming floors to guarantee everyone has a spot to game. Pay attention to special events and exclusive tournaments, which typically give contenders free meals and possibly even free lodging at a reasonable buy it. To tell you everywhere that you could find entertainment would take far too much of your time. Sin City is no stranger to entertaining its visitors, and it does so in a way that everyone will have something to do. Whether you’re looking for a show or want to add some adventure in your life, Vegas has everything you need. There are variety of entertainment guides online about Sin City, but one stands up high which was created by a young lady Svetlana who brought you the insider secrets of Vegas shows on her website LVEG's Show section; read review, compare shows, find deals and obey her guide!. On any given day, Las Vegas has a rotation of shows that pop in and out for short runs; but there are those that stick around for quite some time. Take, for instance, Cirque du Soleil. While some have closed in the past, Cirque has successfully kept KA, Mystique, Love, and O running for quite some time. If you’ve never seen a Cirque du Soleil production, they rely heavily on audience imagination, acrobatics, and, depending on the theme, music. If it’s something simple that doesn’t require too much thought that you’re looking for, than the boys behind the Blue Man Group and Recycled Percussion have a fun night of unconventionally created music in store. Using what most consider garbage, these two shows engage the audience in musical fanfare with recognizable favorites and some new tunes. Celebrity comedians and musicians use Vegas quite often for resident shows, so you can expect to see the likes of Jerry Seinfeld, Celine Dione, Brittany Spears, and even Elton John grace the main stages here in Sin City. You’re in a city, but that doesn’t mean you are without the thrills that can get your blood pumping. At the Stratosphere, you can take a dive via death defying bungee jumps or dangle over the edge of the large structure. The New York New York houses a speedy roller coaster that zooms right above the casino floor. Off the strip, you can zip line across the desert south of Las Vegas or take an ATV tour through the Valley of Fire. Helicopter tours provide magnificent views of the Las Vegas Valley and the Hoover Dam. You can even contain your adventure at your own speeds by renting a gorgeous sports car to traverse the desert in. Here is where the “sin” in Sin City comes into play. The large selection of nightclubs and strip clubs give of-age guests more adult entertainment. Classic nightclubs like TAO at the Venetian have been around for quite awhile, but still dish out levels of entertainment that few cities can even touch on. Newer establishments like the MGM Grand’s Hakkasan and Light at Mandalay Bay provide unique levels of nightlife entertainment with a five-star restaurant and acrobatic performances (respectively). The Mirage’s 1OAK hybrids nightclubs and lounges in a venue made famous on the streets of The Big Apple. In the late night ours, strip clubs like Sapphire, Treasures, and Spearmint Rhino draw in a massive crowd of curious folk. Gorgeous girls and premium liquor are the staples of Sin City’s strip clubs, and no club in Vegas is short on either. To up the ante in adult entertainment, Sapphire opened the doors to its one-of-a-kind dayclub - Sapphire Dayclub.